God wants to heal and bless your family relationships. The goal of the Ministry is to build strong homes. You can agree with us that satan is fighting and destroying homes all over the world including Christian homes. We must join to fight divorce in our homes. We hold seminars in Christian groups and churches across the country. We also offer counseling and prayer sessions for individuals and families corporately and privately as well. Please feel free to contact us. DO NOT DIE IN SILENCE. START ENJOYING YOUR FAMILY RELATIONSHIP TODAY! 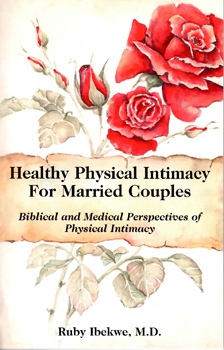 Many couples are facing challenges in this area of physical intimacy (sexual relationship) and do not know how to find a solution due to either ignorance or the embarrassment attached to this issue. This book will help you overcome the common obstacles and prepare you to help other couples. This teaching is on the importance of giving and its role in bringing increase in your life. "How to Order DVDs, CDs, or Books"
This video explains the process of ordering our products. Get step by step instructions on how to successfully place your order online or by mail. This video talks about forgiveness and its role in healthy relationships. "There is Hope for the Family"
This video encourages married couples to stay together instead of seeking to end their relationship when problems arise. This teaching is about the importance of love in healthy relationships. "Essential Tools For a Healthy Marriage"
This teaching gives the tools needed to build a healthy marriage.